From Monkey Throw Poop, came the Straight Shooter Tube. 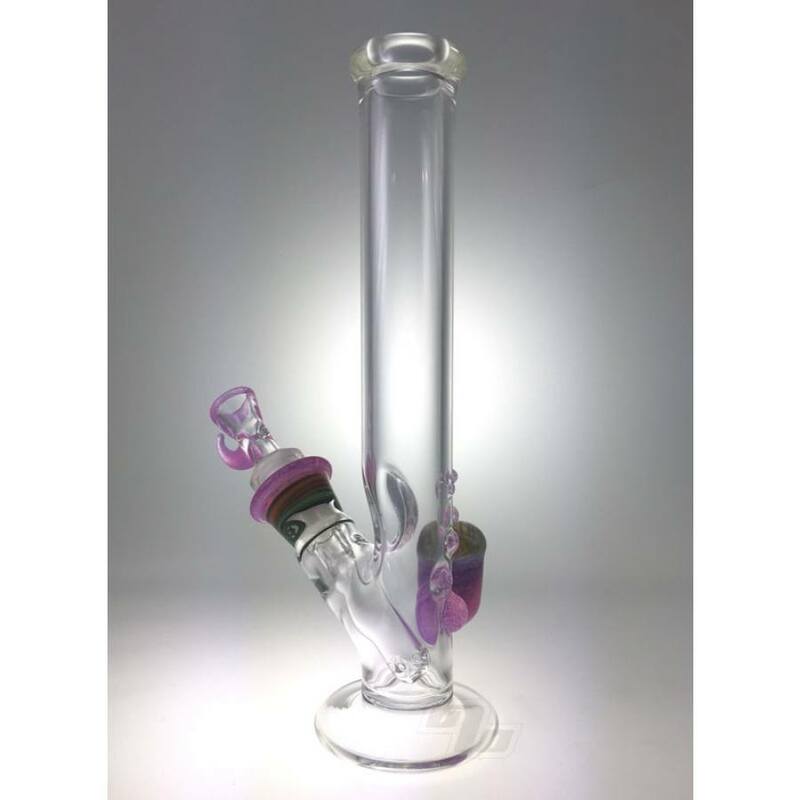 This one of a kind piece has a huge vortex marble affixed to the 9.5 inch straight tube. Finished with Purple Lilac accents and a little mismatched swirl at the joint. This MTP Glass tube is a one of a kind meaning what you see is what you get. Free Shipping in the US! No Sales Tax in NYC (or anywhere else)! 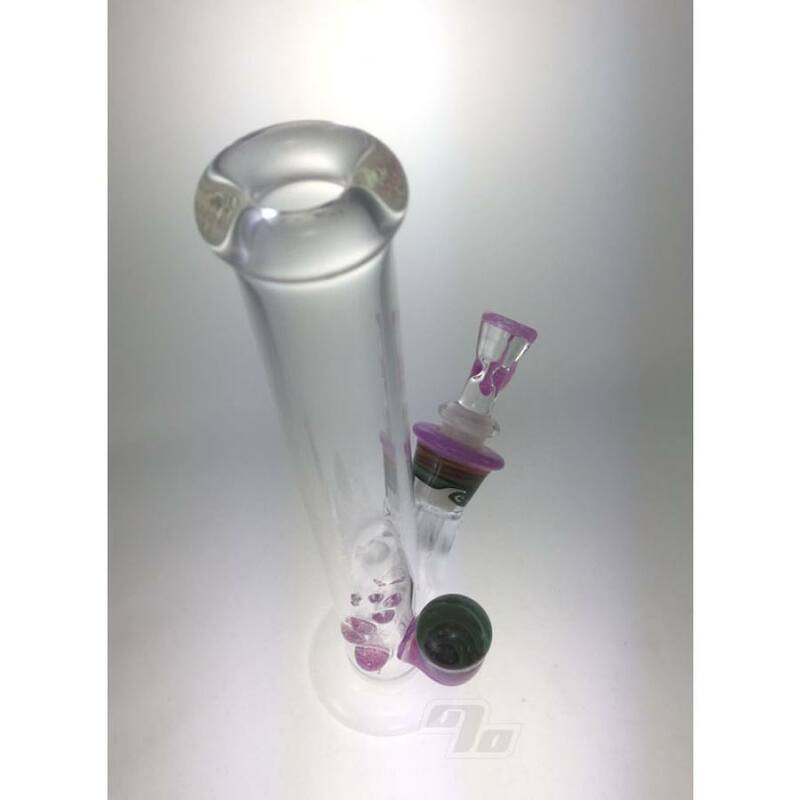 This straight tube is super functional and measures up at approx 9.5 inches tall 2.5 inches diameter at base. 14mm female joint with flower slide and removable downstem. 3 hole diffy for plenty of bubbler action on the pull and just the right amount of resistance.